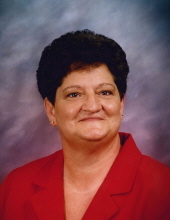 Mrs. Margaret Beaman Rhodes, age 66 wife of Tommy Rhodes of North Wilkesboro passed away Monday, February 4, 2019 at Forsyth Medical Center. Funeral services will be held 2:00 PM Thursday, February 7, 2019 at Oak Grove Baptist Church in North Wilkesboro with Pastor William Souther officiating. Burial will be in the church cemetery. The family will receive friends from 1:00 until 2:00PM prior to the service at the church. Mrs. Rhodes was born November 6, 1952 to Robert Davis and Ruby Burchette Lefevers. She was a member of Oak Grove Baptist Church. In addition to her parents she was preceded in death by a daughter; Lisa Pierce, two brothers; Tom and Donald Beaman. She is survived by her husband; Tommy Lee Rhodes, Sr., of the home, two sons; Robby Rhodes and wife Cathy of Tallahassee FL and Tommy Lee Rhodes, Jr. and wife Rebecca of Roaring River, seven grandchildren; Ashley and JaRontai Lockhart, Dereck and Megan Pierce, Robby Rhodes, Jr., Joshua Rhodes, Amanda and Matt Blevins, Rachel Nicole Prince and Torrey Rhodes, eight great grandchildren; Sophia, Jaydah and Princeton Lockhart, Tyler, Noah and Everly Pierce, and Zackary and Austin Blevins and two brothers; Jimmy Beaman and wife Tammy and Bobby Beaman and wife Natalie all of North Wilkesboro . To send flowers or a remembrance gift to the family of Margaret Beaman Rhodes, please visit our Tribute Store. "Email Address" would like to share the life celebration of Margaret Beaman Rhodes. Click on the "link" to go to share a favorite memory or leave a condolence message for the family.